With over half a million users, the Trucker Path app is one of the most popular driver options for checking weigh station status, fuel prices, and available parking spaces. In addition to trip planning information, the app also allows users to rate over 6,000 independent and chain truck stops across the US. Each year, Trucker Path uses this data to compile a list of the top 100 truck stops in the nation. 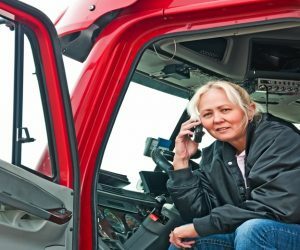 Truckers have three top criteria for rating truck stops: excellent customer service, overall cleanliness, and good food. 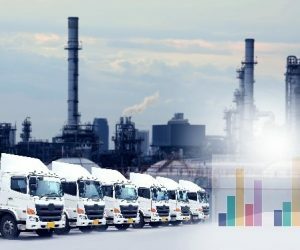 Fuel prices and amenities also factor into the equation. Specifically, travel centers with showers, laundry facilities, repair services, and Wi-Fi were more likely to rank above their competitors. Drivers ranked stops on a scale of 0-5. The scores are averaged to determine the travel center’s final ranking. The Chevron station in New Fairview, Texas, heads up the top 10 list with a score of 4.86. At 4.77, second place is awarded to the Creek Travel Plaza in Atmore, Alabama. Third place goes to Karde’s 151 in Monticello, Iowa, with a score of 4.71. Although Chevron still leads the list of top chain travel centers, Love’s and Pilot travel center both perform well. Love’s takes the second, third, and seventh positions with store # 566 in Ozark, Alabama; # 621 in Bevier, Missouri; and # 604 in Guthrie, Oklahoma. Pilot travel center came in close behind with travel centers in the fourth, sixth, and eighth positions: # 457 in Beaver Dam, Ohio; #2 in Austinburg, Ohio; and # 233 in Oakland, Oregon. Center Point Travel Plaza in Center Point, Iowa took fifth place. The I-40 Travel Center in Ozark, Arkansas and Ayerco # 44 Rocket Plaza in Hannibal, MO took ninth and tenth place, respectively. The Creek Travel Plaza in Atmore, Alabama heads the list of independent travel centers. Karde’s 151 in Monticello, Iowa and Gore’s Travel Plaza in Seiling, Oklahoma take the second and third position. 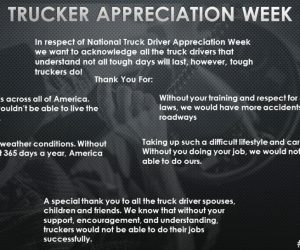 Brownstown, Illinois’ Association of Christian Truckers takes fourth place, while BJs Travel Center in New Madrid, Missouri takes fifth. In sixth and seventh places are the Hixton Travel Plaza in Hixton, Wisconsin and the Kwik Trip Travel Center in Austin, Minnesota. Kwik Trip # 202 in Plover, Wisconsin came in eighth. The last two independent travel centers in this lineup are both in Texas. The Refugio Travel Center came in ninth, while the Texas 87/Tiger Truck Stop in Esperanza claims tenth place. Although not all the following locations made Trucker Path’s top 100 list this year, their incredible food makes them worth a visit when you are in the area. Grab a bite to eat at one of these unique locations. Located just off I-80 in Morris, Illinois, the Morris Travel Center is home to the R Place Restaurant. The eatery’s claim to fame is a 4-pound burger called the Premium Ethyl Burger. The monster burger is free – provided you can down it in under an hour. If you would rather not risk your life (the proprietors joke that one in ten survives the experience), try some of the restaurant’s homemade baked goods. Whether you try a pecan roll, strawberry puff pillow or a piece of pie, the eatery is sure to have something to satisfy your sweet tooth. In addition to great food, the travel center also features several amenities, including showers, laundry, a lounge, a walking trail, and a pet area. The truck stop also offers maintenance and tire services. Take exit 254 off I-25 in Johnstown, Colorado and stop by Johnson’s Corner for one of their famous made-from-scratch cinnamon rolls. The 24-hour diner serves nearly 200 rolls per day in addition to distributing them to local drugstores and gas stations. The eatery is famous for more than its rolls; Johnson’s Corner regularly appears on top 10 lists compiled by Food Network and Travel & Leisure magazine. The amenities are nothing to scoff at either. The travel center boasts Shorepower, overnight parking, a lounge with free Wi-Fi, showers, a laundromat, and live video feed of Colorado road conditions. Johnson’s Corner also provides on-site physicals for drivers. Bangor, Maine is famous for two things: it’s the hometown of both novelist Steven King and Dysart’s Restaurant. The family-owned company’s huge portions of fried clams and scallops are made using the same recipes used when the truck stop opened in 1967. The owners take pride in serving their food with a side of small-town hospitality. The comforts of home extend to Dysart’s amenities. In addition to private showers and a full-service center, there is an on-site barber shop, an arcade, and a motel located nearby. No matter where you roam on your next long haul, there are plenty of amazing places to visit across the U.S. 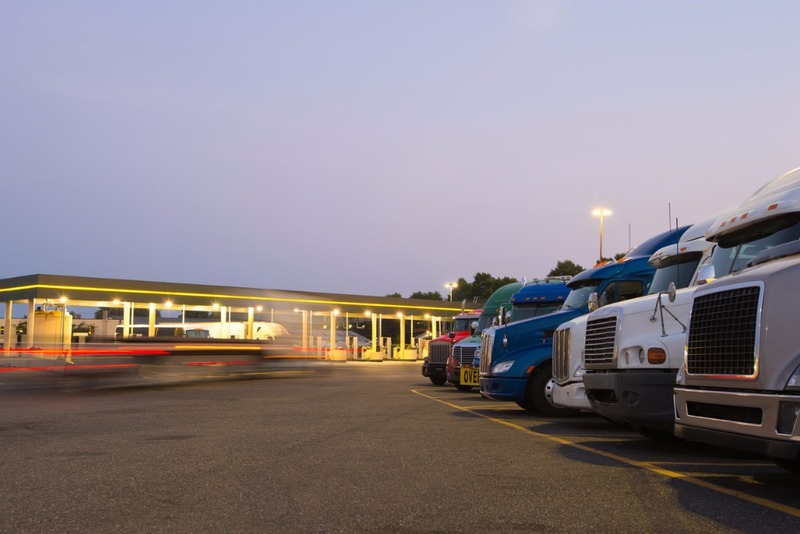 Check out the full list of Trucker Path’s top-rated truck stops here. Perhaps you can visit a few of the truck stop locations on your next trip.